Hungry? A new neighborhood traditional American spot has you covered. Located at 5424 Laurel Canyon Blvd. in North Hollywood, the newcomer is called BB's American Grill. 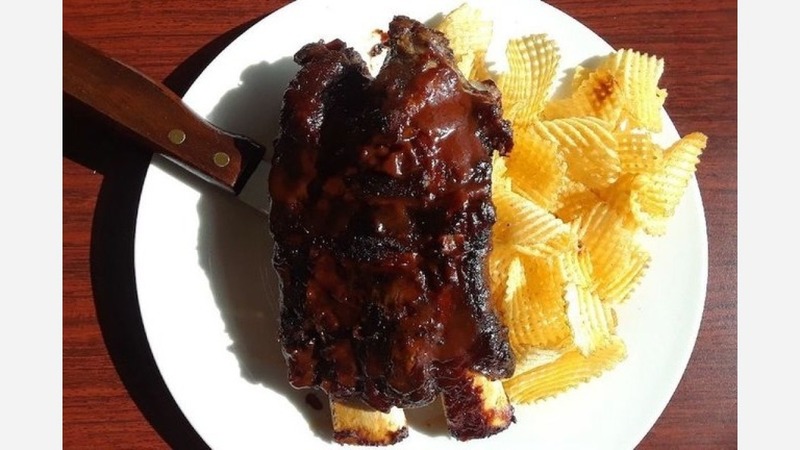 This newcomer specializes in traditional American-style barbecue and serves breakfast, lunch and dinner. On the breakfast menu, look for a build-your-own three-item omelet, New York steak and eggs, and pancakes or waffles served with potatoes and toast. There's an extensive selection of burgers and sandwiches on offer, too, such as a pulled pork or chicken sandwich, and customizable beef, steak or salmon burgers. BB's American Grill has gotten off to a solid start thus far, with a 3.5-star rating out of seven reviews on Yelp. Bill G., who was among the first Yelpers to review the new spot on March 2nd, said: "Great selection! Love the pulled pork and my friend loves the ribs! Love the curly fries. Delicious old-school sweet tea. One of my favorite lunch spots." Yelper Ryan R. added: "I'm so happy that a place like this exists so close to my home. I am from the South, so I know good barbecue, and that is hard to find in LA. This place is delicious and affordable." Interested? Stop by to welcome the new business to the neighborhood. BB's American Grill is open Monday-Thursday from 8am-10pm, Friday from 8am-midnight, Saturday from 9am-midnight, and Sunday from 9am-10pm.